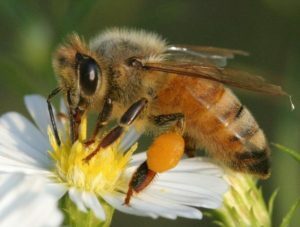 The Beaufort County Beekeepers Association will be holding a class for everything you need to know in order to get started in beekeeping. The class will be held on February 19, 21, 26, and 28, 2019, from 6:30–8:30 p.m. at the N.C. Cooperative Extension of Beaufort County office located at 155 Airport Road in Washington, NC. The Association will schedule a hands-on field day for students to get into a beehive when the weather permits, this spring. This 4 class course will prepare students to become a beekeeper and to take both written and practical exams for the NC State Beekeeper’s Association’s “Certified Beekeeper” designation. Pre-registration is $20 and registration the day of is $25 at the door. Cost includes registration, book, and a 1-year membership to the BCBA. Follow the link below to the registration form. Send completed registration form along with payment to Lisa Beacham, BCBA Secretary/Treasurer, 1290 NC HWY 33 West, Chocowinity, NC 27817. Checks should be made payable to Beaufort County Beekeepers Association. Go to the Beaufort County Beekeepers Association Facebook page or contact Lisa Beacham at (252)945-9497 for more information on the class.